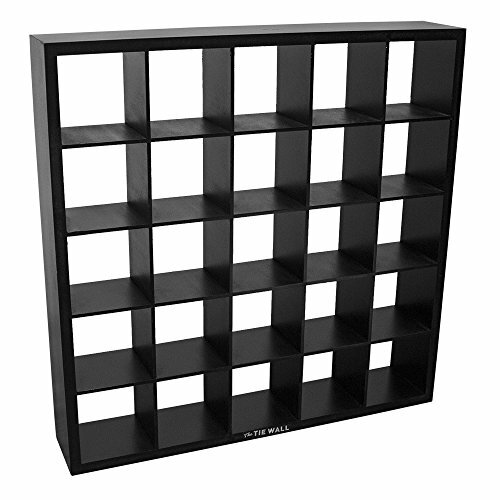 Display and organize up to 25 Ties, Belts, Scarves, Socks, or any garments anywhere in your home. Setting up this organizer is a snap because it comes pre-assembled so you don't have to fuss with slotting pieces together. The Tie Wall can be mounted to any wall via 2 mounting points (hardware not included). Each cubicle is 4" high, 4" long, and 4" deep. For the gentleman on display. View More In Tie Racks. If you have any questions about this product by The Tie Wall, contact us by completing and submitting the form below. If you are looking for a specif part number, please include it with your message.